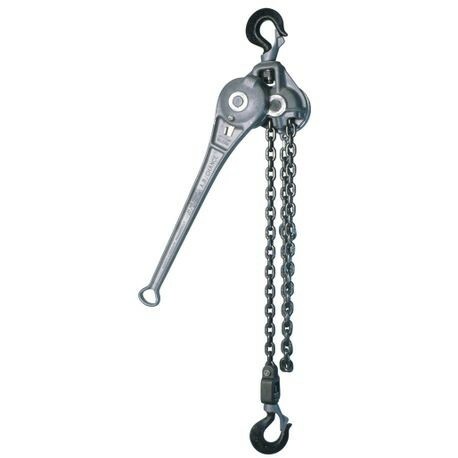 ALUMINUM BODY LINK CHAIN HOISTS (Handle Pull at Rated Load: 90 lbs., Capacity: 1 Ton, Item Weight: 14 lbs.) | Tallman Equipment Co., Inc. The lightweight, high-strength handle, and housing are made of heat-treated aluminum. 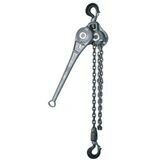 The chain is a high-strength alloy steel, polished for smooth action and low wear. All models are proof-tested at 150% of their rated capacity and have a standard 5' lift.